Is there a way to curb our consumption of road salt? We're all afraid of slipping and falling, especially in winter, so it's not uncommon to see carpets of salt on Canadian sidewalks and roads this time of year. But what's the effect on the environment? Our bodies need salt, but there is a difference between the stuff we sprinkle in food and what we put on the roads. They're both sodium chloride, but table salt includes healthy additives like iodine, which deters goiters. The problem with rock salt (a.k.a. road salt) is that it contains chloride ions, which can have negative effects on ecosystems because once these ions seep into our environment, there's no way to dilute them and they continue to build up. And we use a lot of rock salt. According to Environment and Climate Change Canada, the amount of rock salt used on our roads ranges from two to nearly five million tonnes annually. And that's not including what we're dumping on sidewalks and driveways. That salt doesn't just go away: it leaches into our lakes and rivers and gardens. It's "very concerning to someone like me, who's a freshwater scientist," said Angela Wallace, project manager at the Toronto and Region Conservation Authority's (TRCA) watershed planning and reporting division. She said scientists across North America are worried that freshwater, the source of our safe drinking water, "is becoming more and more salinated over time." And it's not just in winter. 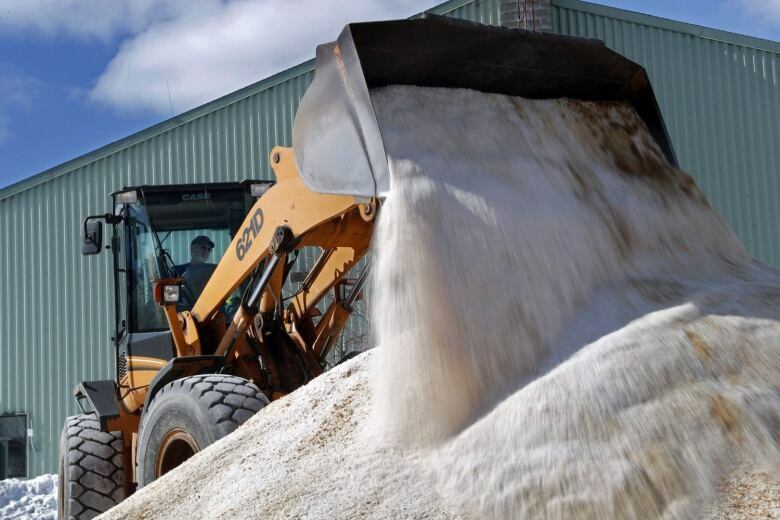 Scientists are finding elevated amounts of salt even in the summer as the ground, which has soaked up all that salt and stored it, slowly releases it into creeks, rivers and lakes. This can have widespread effects. Fish are disappearing from areas where they once thrived. Frogs — which breed in pools of water, sometimes near roadways — have difficulty breeding. And there's even fear that birds are consuming it. "If we're living in an area where other animals and fish and birds can't live, that's going to reflect on … human health impacts as well," Wallace said. While there are alternatives, such as beet brine and sand, the fact is that salt is simply cheaper. Many argue, however, that its highly corrosive nature — which damages roadways, bridges and buildings — actually makes it more costly in the end. According to Tim Van Seters, manager of TRCA's sustainable technologies evaluation program, there are several ways to help the environment on this issue. One is to use less salt. "There's a belief that you need to cover the entire surface with salt so that you can't see the pavement anymore, otherwise it's not effective," said Van Seters. "But that's just not true." Another is to stop using salt to get out of shovelling. "Shovel early and often," said Van Seters. "Don't let the snow melt and then refreeze because that's when you need to really use a lot of salt to get that off." Van Seters also said municipalities could deputize people, much like parking enforcement officers, to ensure citizens aren't over-salting. "No one's saying to eliminate salt altogether," said Van Seters. "We just have to use it better." Many of you have written in to offer kind words (thanks!) and suggestions for ways to improve the newsletter. Some of you have also used the opportunity to propose ways of solving some of the big environmental problems that exist. One of the interesting emails we got this week was from a reader who was thinking about ways to reduce energy use in buildings. "As a longtime renter of different apartments in Toronto, I am wondering why everywhere in buildings the temperature is so high that I need to keep windows open even in winter. Would it not be more efficient to put in a system that allows each renter to change temperature to a lower level, hence creating a lower expenditure on heating?" The reader poses an interesting scenario. Is it feasible? It's something we'll take a look at in an upcoming issue. 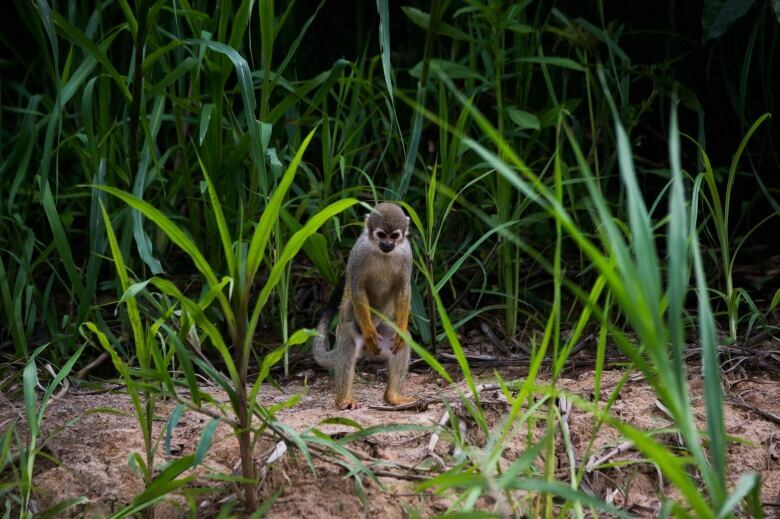 In a battle to protect the Amazon jungle, the world's largest rainforest, researchers are building a giant database of genetic codes to catalogue material contained in the plants and animals there. From new medicines and cosmetics to the rubber in car tires, genetic material extracted from the forest has spurred billions of dollars worth of new inventions. Spread across nine countries, including Brazil, Colombia and Peru, the Amazon is home to one in 10 of all known species on Earth, according to the World Wildlife Fund. Known as the "lungs of the planet" for its role in sucking carbon dioxide out of the atmosphere, the Amazon also plays a crucial role in stabilizing global weather patterns. Amazon residents, however, often have few options other than clearing the forest to raise crops or logging to earn a living. "That doesn't work when we look at things from an earth systems point of view," said Dominic Waughray, who heads the Amazon Bank of Codes project for the World Economic Forum (WEF). Backed by technology researchers, scientists and the Switzerland-based WEF, the Amazon Bank of Codes aims to change that dynamic of resource exploitation by billing companies who want to use genetic material taken from the forest. Waughray said the project could be up and running by the end of 2020. Once in place, investors who want to use genetic material from the Amazon will be able to log onto the code bank and purchase the specific genetic strains they want to use for a small fee. Through cellphone banking and other digital tools, royalty fees will be transferred directly to local residents and government authorities, giving people in the Amazon a financial incentive not to cut the trees, Waughray said. In Brazil's part of the Amazon alone, an area larger than Germany has been deforested since 1988, according to Brazilian government data. The royalties will be transferred to governments and local communities in the Amazon through blockchain, the same online ledger system that underpins the digital currency bitcoin. If properly managed, royalties from genetic material could end up providing local residents with far more money than ranching or farming, Waughray said. Brazil's new president, Jair Bolsonaro, has pledged to open swaths of the Amazon to mining and agribusiness, but has made no move to stop the bank of codes. Waughray predicts biotechnology based on better mapping of genetic resources could help fuel a "fourth industrial revolution." "Imagine what it means to be a country with a high biological endowment like a Costa Rica, Brazil or Colombia, where we traditionally think of ranching, soy and timber," Waughray said. As a result of this bank of codes, "we think of the habitat itself as being a valuable banker to feed the 21st century." Last week, Prime Minister Justin Trudeau announced that the federal government would kick in more than $25 million to fund Canada's first geothermal power facility. The plant, located near Estevan, Sask., will generate five megawatts of power, enough to power around 5,000 homes. Geothermal energy taps heat beneath the earth's surface and is considered clean and sustainable. 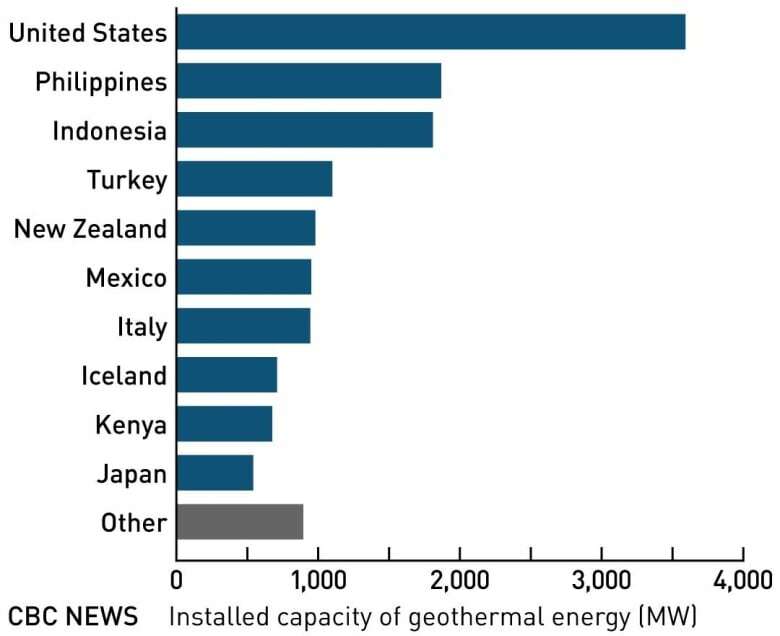 Here's a look at the world's biggest producers of geothermal energy. Gillette made news this week when the personal grooming company released a bold ad that explored the problem of toxic masculinity. The spot divided opinions, but one idea few people wrestled with was: How sustainable are disposable razors? Wind turbines are going up with startling speed around the world. But this type of power generation has its downsides — for one thing, it's thought to harm birds. A Spanish company is proposing a bladeless turbine that Wired magazine likens to "a giant rolled joint shooting into the sky." A recent study showed that carbon emissions in the U.S. went up in 2018, after falling in the previous years. This story in Forbes magazine suggests that closing nuclear power plants — which do not emit carbon — is part of the problem. Good news: It's still possible to keep the Earth from warming above 1.5 C pre-industrial levels. That's according to a new study from the University of Leeds, which suggests the solution doesn't involve untested, futuristic technologies or even giving up your gas-guzzling SUV while it's still road-worthy. All we have to do is not repair or replace existing carbon-emitting infrastructure with more of the same. That means aging gas or coal plants, cars and trucks, airplanes and ships — as well as a few less obvious things. The report said that if we start now, there's a 64 per cent chance we can stay under the limit of 1.5 C of warming set by the Paris agreement to avoid the most dire consequences of climate change. 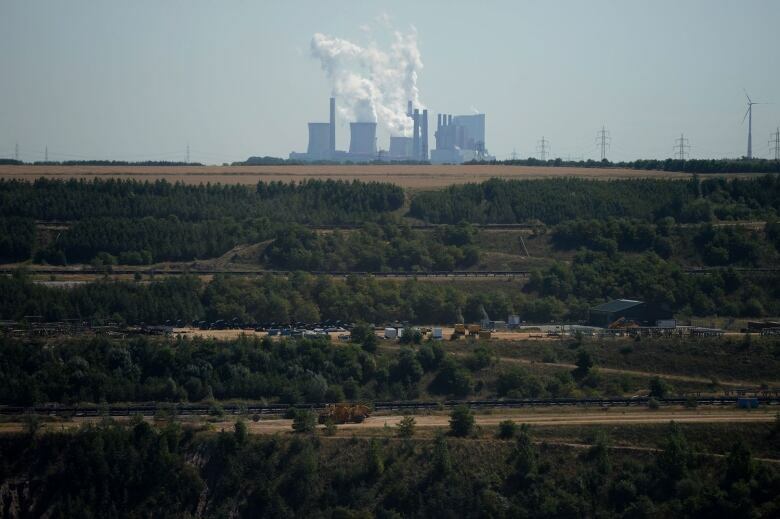 As Chris Smith and his team of researchers at the University of Leeds write in Nature Communications, "Limiting warming to 1.5 C is not yet geophysically impossible." Smith acknowledges in a separate article in The Conversation that some challenges make this type of plan harder than it sounds. For example, there aren't any viable alternatives yet to fossil-fuel-powered planes. One of the study's assumptions is that building zero-emissions replacements, such as wind and solar, wouldn't in and of themselves generate emissions — which they largely do at the moment. And while we can wait up to 40 years for our coal plants to break down, the whole world would have to give up beef within three years and completely stop deforestation right now — unlikely. Still, it makes limiting climate change by quitting fossil fuels look almost achievable. Perhaps part of the solution is resisting the urge to replace dirty infrastructure with … more dirty infrastructure.